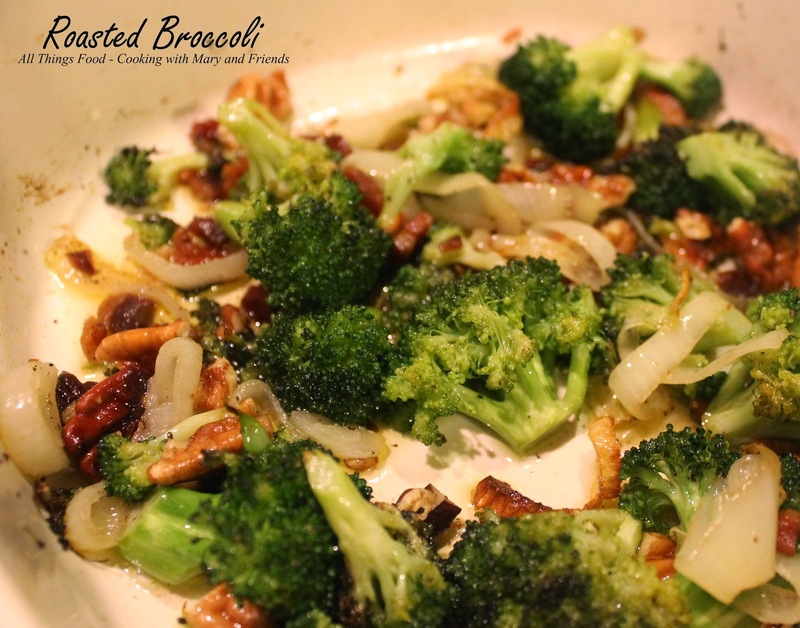 Here in our house we love broccoli and have it many times; raw with dip, steamed, grilled and now roasted. The addition of some onions, bacon crumbles and toasted pecans really brings this dish to another level, so tasty and easy for a quick weeknight side dish. Did you know? This verdant vegetable is a powerhouse of nutrients. It's reputed to benefit digestion, the cardiovascular system and the immune system, and to have anti-inflammatory and even cancer-preventing properties. Plus, broccoli is low in sodium and calories, at about 31 calories per serving. It's also a fat-free vegetable. Broccoli has an impressive nutritional profile. It is "high in fiber, very high in vitamin C and has potassium, B6 and vitamin A," raved Victoria Jarzabkowski, a nutritionist with the Fitness Institute of Texas at the University of Texas at Austin. "For a nonstarchy vegetable, it has a good amount of protein." 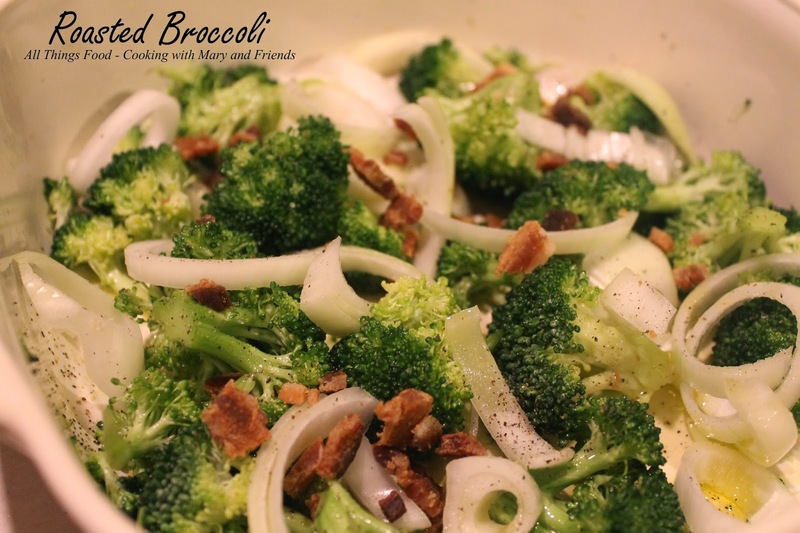 In a large bowl, add broccoli and onion. Toss with olive oil and place in medium-sized baking dish. Sprinkle bacon crumbles over mixture and add salt and pepper to taste. 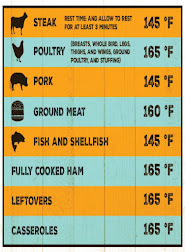 Bake approx. 20 minutes or until onions are translucent and beginning to brown. Toss in toasted pecans and cook 5 minutes more.